Mumbai- The city of lights and the city of gold is also a living soul in itself. This city is a home to literally a lot of people, with varied diversity and cultural richness. However the other side of the coin reveals the darkness and spooky nature of the city!! There are list of Haunted places in Mumbai which will give you chills and can turn your face pale and horrified! To our surprise there is a long list of Haunted places in Mumbai literally defining Mumbai as the city that never sleeps. There are a countless stories of Paranormal experiences around the lanes of Mumbai. Some believe in these paranormal activities and some don’t unless they have experienced themself. There are spirits of women haunting building complexes, roads that nobody wants to drive late night, chawl that has been haunt of ghostbusters and many more such haunted places the will give you spine-chilling experience even at the thought of it. Mahim can aptly be called a hub of paranormal activities with numerous wells and haunted houses. 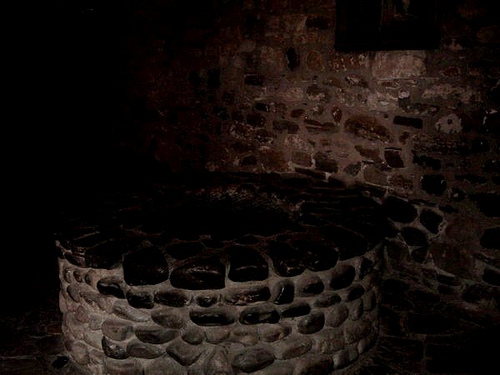 D’Souza Chawl is said to be haunted by the spirit of a woman who fell into the well and died an unwanted death. Since then, her spirit roams around the periphery of the well after the sun sets and continues to haunt the local residents. For those of you who have watched the Shah Rukh Khan starrer ‘Om Shanti Om’, this story may sound oddly familiar. Mukesh Textile Mills was established by the East India Company in the 1870s. After a fire broke out, killing thousands of people, this mill was shut down on 18th January. The ruins of this deserted mill served the film industry and this place became a hotspot for haunted shoots in Mumbai. However, the scary and dark history of this Mill is enough to scare every soul who dares to enter the area after sunset. Stories of a possessed actress and uncomfortable eerie interiors are peculiar to the mill. Who knew that a real haunted place in Mumbai would serve as a story inspiration for mainstream Bollywood! Apart from dense forests, old caves, lurking animals, and being the perfect backdrop for pre-wedding photoshoots, Sanjay Gandhi National Park is also known for paranormal activities in Mumbai. Local crowd narrates the scary tale of a lunatic female hitchhiker, clad in white obstructing the path of travellers. The flora and fauna that covers the park probably frightens visitors and becomes the root of these stories, but this horror story is narrated by guards at the National Park and locals alike. The Kanheri Caves are described as the most haunted part of the national park. So, the next time you’re there, be aware of the hitchhikers!! Seems like Mahim is a hub of the ghosts, yet another story which is located near Mahim railway station, Nasserganj Wadi adds to our list of haunted places of Mumbai. 16 years ago, a local Parsi, Nasser was burnt alive. His spirit is said to keep a watch on his property, injuring and torturing anyone who obstructs his path. So don’t mess up with the man! Apparently place of worship and ghost stories is a very unusual combination and so is our next place which is St John’s Baptist Church, the story of a ghost bride is narrated by the local folks, who was said to torment dwellers of the area, to get rid of this an exorcism was performed and further witnesses say that they heard screaming, followed by the sound of a full-fledged splash in a nearby pond. Although all the fishes in the pond were found dead the following day, the ghost was never heard again. The stories of the young bride and her purported second death, together make the church a scary and haunted place in Mumbai. Every time I go to St.John Baptist church, that same old lady catch the Holy Ghost…. I'm starting to believe she is the Holy Ghost! Horror stories in Mumbai aren’t limited to parks or empty roads! The Bombay High Court is mysteriously haunted by a bilingual spirit, who is said to horrify and torment people whenever a murder trial takes place. This spirit has a long and dark history of about 30 years. #what an example set by Bombay High court is Law doesn't remain same for every person n it can be influence. 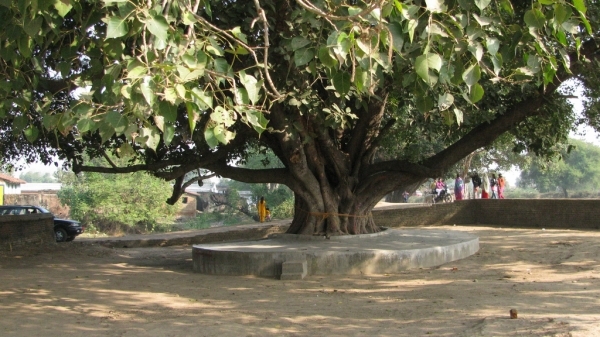 Yet another story of burning alive, here a 20 year old girl name Salma in 1989 had burned her self alive near a Peepal tree and since then they say she has been haunting the place so that residents living there build a hanuman temple to protect themselves but some say she still runs in the campus at night. Hope that the temple protects the resident from the ghosts. The place in Santacruz is said to be haunted according to the residents living there they call the ghost 2nd floor wali bhabhi ji as they are scared to even take her name. It is said that this woman had committed suicide after fighting with her husband and since then there is black dog that has made his home there and according to the people living there they see a woman in black veil with barking of dogs. The thought of even being there gives us chills! 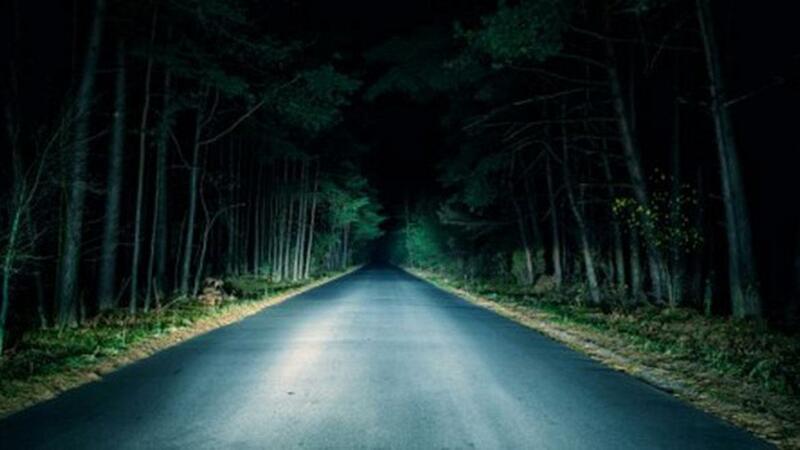 This narrow road from Marve to Madh is said to be haunted due to death incidents and paranormal activities, they say that the roads are haunted by the spirit of a young bride which cause accidents by coming in the path of the vehicles. The road which looks beautiful with the greenery can also be deadly. So think twice before going through that road. In the ruins of the old SNDT College, at 2:00 AM, it is said a woman can be heard reciting multiplication tables followed by the sound of wailing children and slapping. This is some scary shizz!! Imagine if you are studying in that college. According to you which is the most scariest place in Mumbai? Previous articleRanveer Singh dives into a pool of people or issues?